The Wine Pleasures judges have tasted the best old and new world sparkling wine for a much anticipated 2018 competition. The director of the competition, Anthony Swift has released the results. On November 27th the results of the 50 Great Sparkling Wines of the World 2018 annual competition were announced by Wine Pleasures. 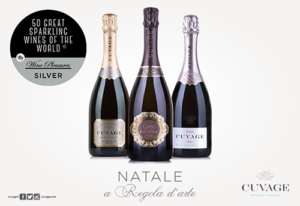 Cuvage obtained excellent results in this competition: Cuvage de Cuvage Pas Dosé Metodo Classico received 94 points and a silver medal; Cuvage Rosé Brut Nebbiolo d’Alba DOC received 94 points and a silver medal; Cuvage Blanc de Blancs Brut Metodo Classico received 90 points and a silver medal. Wine Pleasures organizes events for the wine import / export sector, conducts B2B workshops, as well as specializing in wine tourism. 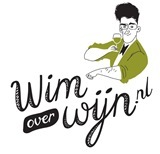 Their expertise allows wine importers to meet wine producers from Italy, Portugal, and Spain. The judging panel comprises of an international team of sparkling wine experts. The platform boasts a strong social media presence with a reach of about 150,000 followers and a database of about 35,000 wine importers from around the world.